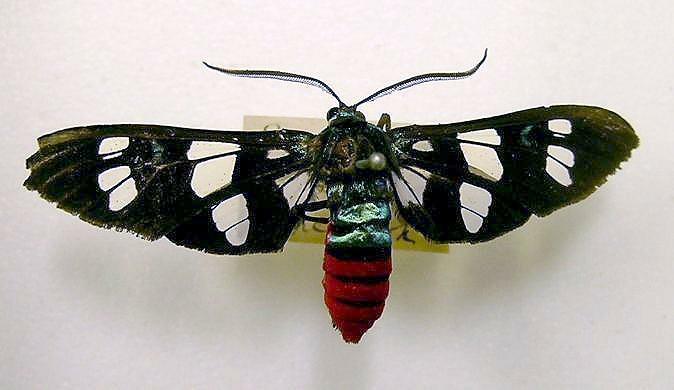 The adult moth of this species rather resembles a wasp. 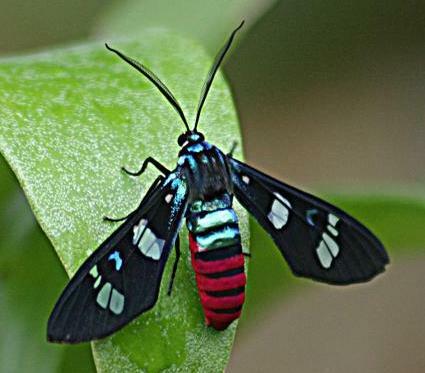 Its wings are basically black, with transparent spots on each wing. There is a blue comma-shaped mark near the centre of each forewing. 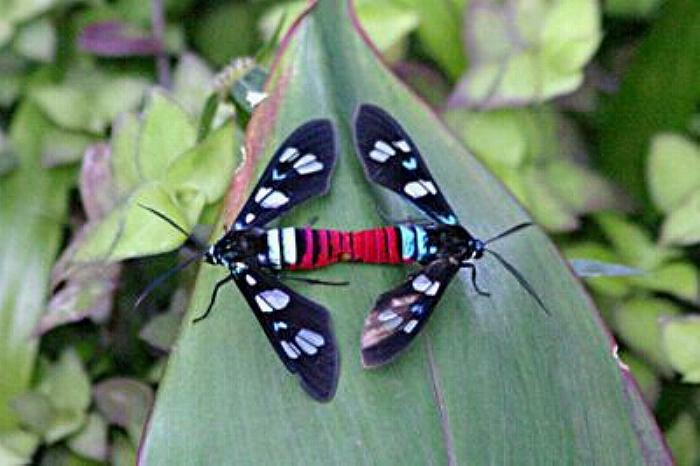 There are transverse black and red bands on the body. The wingspan is about 5 cms. The hind wings are only about half the span of the forewings. Moths of Australia, Melbourne University Press, 1990, p. 438. Edition 10, Volume 1 (1760), Class 5, Part 3, p. 494, No. 34.